The Rover 5 uses 2 independent motors, each with an optical quadrature encoder and gearbox. The entire gearbox assembly can be rotated at 5 degree increments for different clearance configurations. This isn't a wimpy or flimsy robot base. 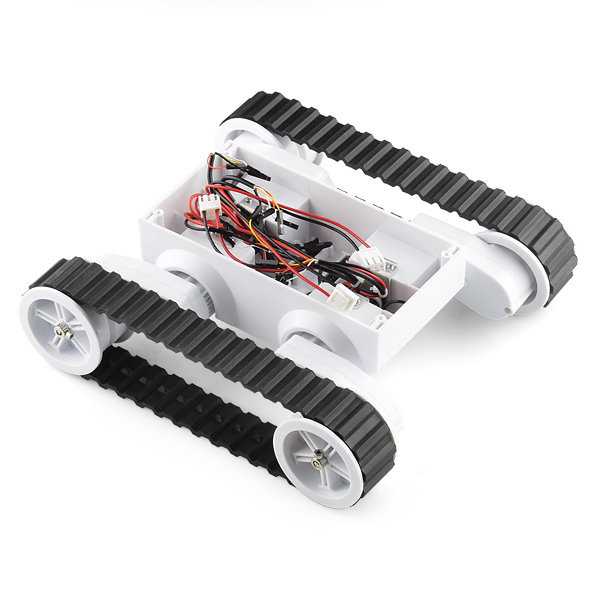 Weighing in at over 2.5 pounds without batteries, this base is heavy duty and can drive over quite a bit.